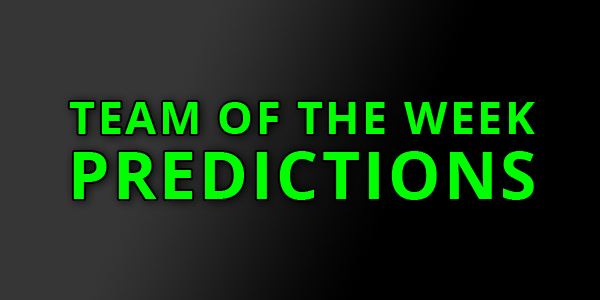 As always, keep in mind that these are our personal predictions and that none of these players are guaranteed to earn a Team of the Week item. Players from tonight's game between the Eagles and Redskins are eligible, so make sure to include them in your guesses below. We’re giving away a Team of the Week 13 Hero player item (NAT) to one lucky Muthead member. To enter, leave a comment on this article with your predictions for both offense and defense Hero for TOTW 13. One member who gets both correct will be selected at random as the winner. If no one gets both right, we will draw a random winner from all comments. Editing your comment or leaving multiple comments disqualifies you from winning. Entry ends at 8 PM ET tonight (12/3/2018), or as soon as EA announces the new players. Why are so many people thinking Bobby Wagner for the Boss? Yea, he had the long pick-6, but it happened late, when the game was already waaaaay out of hand, and against a 2-9 (now 2-10) team. I don't feel like that is deserving of a ToTW Boss card. I'm sure people will disagree, but I just don't see it lol. Has kept a defense that lost Richard Sherman, Earl Thomas, Kam Chancellor, Michael Bennett, Cliff Avril, Sheldon Richardson, and KJ Wright (injured) together during a "rebuilding year'. Yet he doesn't deserve a team of the week because he played a 2-10 team. Get out of here bro. Comes to a site about a video game to talk about how he's not playing the video game and everyone here is a loser. Taywan Taylor needs an upgrade. 2 big 40+ yard catches plus another for 103 yards total to help the Titans win in the 4th.